The mission of the NERP Tropical Ecosystems Hub (NERP TE Hub) is to address issues of concern for the management, conservation and sustainable use of the World Heritage listed Great Barrier Reef (GBR) and its catchments, tropical rainforests including the Wet Tropics World Heritage Area (WTWHA), and the terrestrial and marine assets underpinning resilient communities in Torres Strait, through the generation and transfer of world-class research and shared knowledge. This research will be highly relevant, influential in policy, planning and management, publicly available, and provide value for money. The Hub builds on five years of public good environmental research supported through the Marine and Tropical Sciences Research Facility (MTSRF). The MTSRF was a large investment by the Commonwealth Environment Research Facilities (CERF) program, funded by the Australian Government through the former Department of the Environment, Water, Heritage and the Arts. The MTSRF itself was built on the foundation of thirteen years of prior tropical research supported by the Cooperative Research Centres (CRC) Program, which funded CRCs for the Great Barrier Reef World Heritage Area, Torres Strait and Wet Tropics rainforests. The options for adaptation and new management approaches to enhance ecological and social resilience in a changing environment. The NERP TE Hub will support 38 research projects, delivering into three geographic Nodes: the Great Barrier Reef and its catchments, Torres Strait, and the Wet Tropics rainforests. Common themes will run through each Node. To that effect, the Hub’s research will be organised around twelve Research Programs to reflect the thematic and geographic matrix, with one program dedicated to communication and knowledge brokering across all three Nodes. 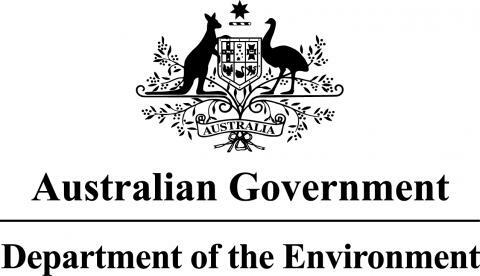 Responding to an independent review of the CERF program (include reference as a footnote), and the framing statements of the NERP, the NERP TE Hub has a primary obligation to strengthen decision-making on environmental matters by the Australian Government and other stakeholders. The Hub will develop and transfer new knowledge and tools (e.g. decision support systems) to managers and other users requiring environmental, social and/or economic information to support their respective future decisions. Evidence of real-world impacts of Hub research on policy and on-ground practice in addition to a list of scholarly publications.